Happy tenth year anniversary, Finovate! 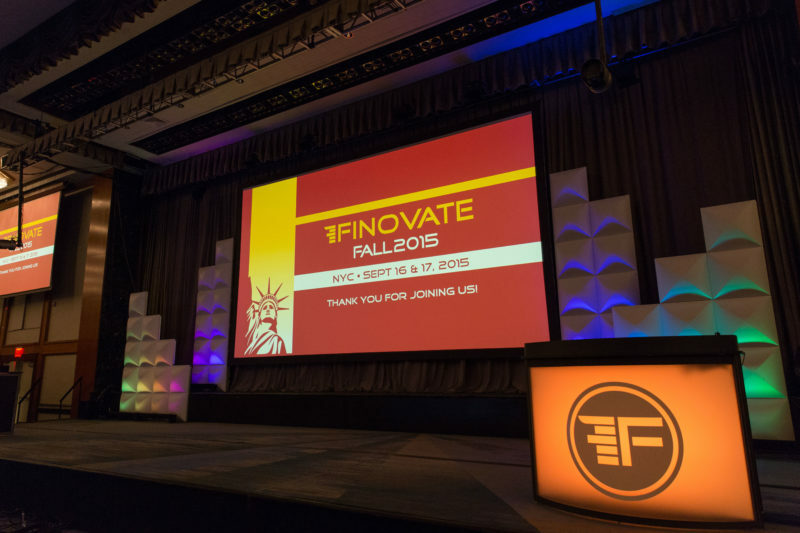 Finovate – now ten years old (or young) – has celebrated its anniversary with over 1,600 attendees at its New York show. Banking Technology was a media partner, and FinTech Futures Series, Banking Technology’s sister company, took part in the event. Lisa Moyle, director of strategy, fintech, at FinTech Futures Series, reports. Finovate has come a long way from its humble beginnings but the format has remained constant over the years – presenters have just seven minutes to demo how they are harnessing technology to transform/deliver innovative financial services. It is not a “pay to play” set-up and early stage start-ups have the same representation as presenters from larger and more established players. Fintech has certainly travelled a long way over the past decade and the variety of presenting firms and those voted “best in show” reflect both the challenge to established financial services institutions and how those firms are themselves being transformed by innovative fintechs. As observed by Greg Palmer, VP at Finovate, the B2B offering has increased over the years and this year’s line-up certainly reflected that change. From harnessing big data to onboarding customers quicker, to using artificial intelligence (AI) to enable banks to help customers to better manage their finances; the demos certainly provided a broad range of options for financial services institutions looking to digitise their services. AutoGravity for its app that harnesses the power of the smartphone to enable users to take control of the automobile buying and financing experience. Backbase for its omnichannel banking platform that uses optical character and facial recognition to deliver 60-second onboarding. Clinc for its personal assistant for mobile banking, “Finie,” that uses AI and “deep learning” to communicate with users in “natural, conversational” language. MX for its technology that enables FIs to acquire new data, as well as understand and analyse the data they already have. Swych for its mobile gifting platform that lets users buy, send, upload, redeem, and exchange gift cards from their mobile device. Trusona for its insured cloud identity suite with offerings that run the gamut from securing everyday logins to protecting the world’s most sensitive assets. A number of presenting companies fell under the category of regtech, a hot area for fintech investment and one that has, certainly in the UK context, the support of the regulator. Products and services that can support less costly, faster and more fail-proof compliance with ever shifting regulatory requirements, caught the interest of innovators, investors and financial services firms alike. The regulator, the regulated and fintechs certainly have a lot to gain from the development of regtech but will need to find a way to collaborate to ensure the wide scale automation of effective regulatory compliance. Collaboration probably sums up how the fintech ecosystem has evolved over ten years of Finovate and the predominance of B2B solutions on offer at the New York show. As Palmer also noted, the diversity of financial institutions attending has grown over the years, and not just among the large global institutions but also smaller banks and credit unions. Attendance across financial institutions has also diversified with representation from across many business areas. Disintermediation is still widely discussed being on the horizon, but in the medium term, at least, there is much to be gained from supporting innovation in existing institutions. 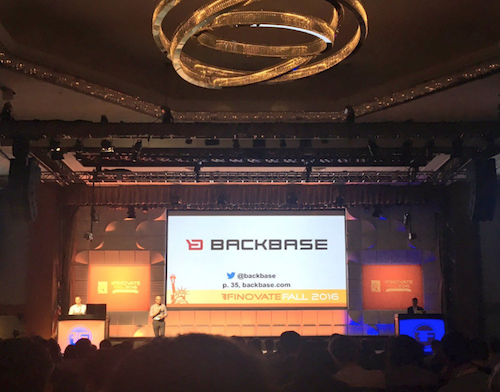 Finovate never fails to impress, not just as a showcase for innovation but for holding the attention of such a large audience for over 70 demos who listen intently for two very busy days. Decision Builder, the latest solution from mortgage tech innovator Roostify, will give lenders the ability to provide loan applications with a clear, easy-to-understand view of all the borrower’s loan options – based on the lender’s actual product and pricing system.